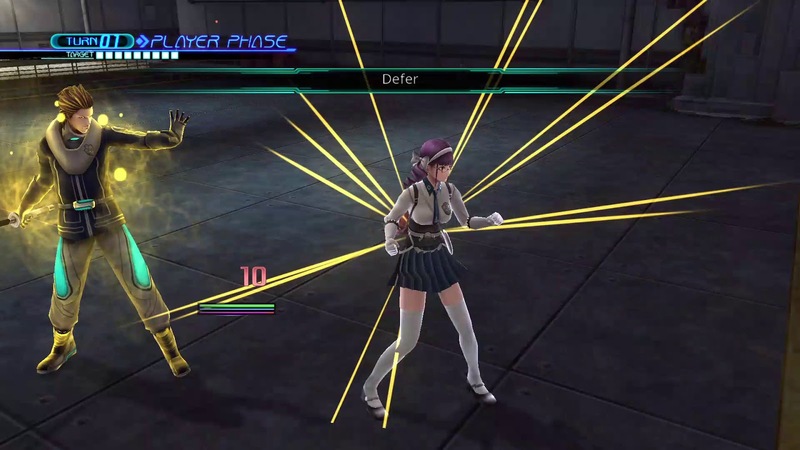 Lost Dimension is an atypical JRPG that looks, sounds, and feels like a typical JRPG. Originally released for the PS3/Vita, this two-year old game finally has a more accessible steam port for the plebeians among us that didn't choose the proper game console. The premise is straightforward enough, in that there is a collection of unique cast members that take the form of diverse and varied characters, a clear and obvious antagonist, very clearly defined rules, and absolutely no real surprise to the plot. No surprise to the plot? But what about the amazing trailer that makes you want to watch the anime until you realize it is actually for a game? It said something about a traitor, didn't it? Well yes, yes it did. Each floor, a traitor is chosen at random among your teammates. Because it is random, it doesn't really tie in to any current events, and a character that happens to be your favorite, or the one you leveled up the most, or even one that was absolutely and objectively beyond reproach the floor below is now, suddenly, acting shifty. Call me old-fashioned, but when I go into a game like this, I tend to find a team of characters that I like, but with how every game is randomized, you don't get this option. If you want to see more characters make it to the end, or do all of the side-missions, or raise everyone's trust up to max, you're going to need a MINIMUM of two playthroughs (via the NG+ option), although three or four is more likely. 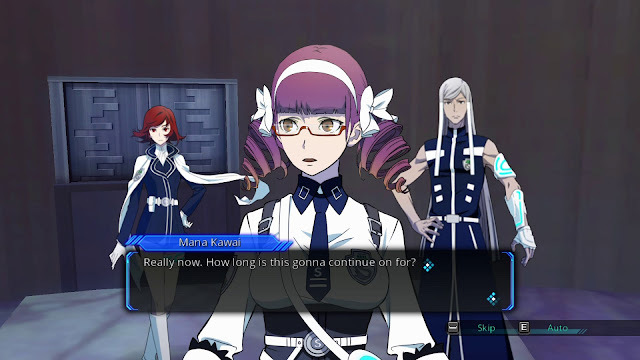 It's not that the plot is bad, or that the story is not very compelling, but traditionally, this is where JRPGs shine the most, and in this, Lost Dimension fails to even moderately excel. This is a game originally designed to be played on the Dualshock 3, or the Vita, and boy does it show. 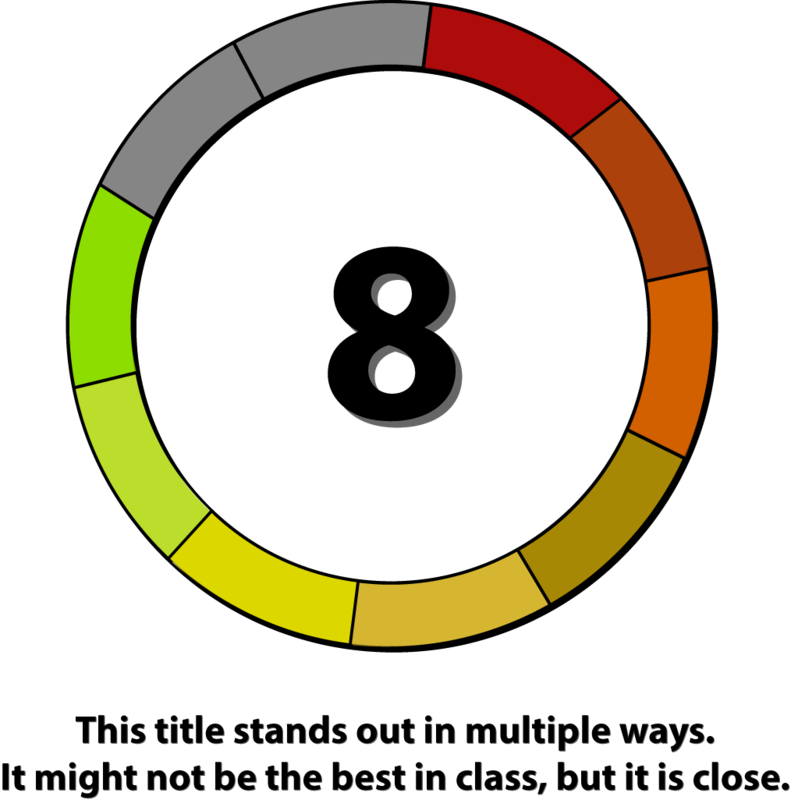 The keyboard controls are much less smooth than the controller ones, so if you don't have a gamepad for your computer, I definitely recommend picking one up and playing this game how it was intended. It's not unplayable on keyboard, being a turn based strategy-style RPG, and you have unlimited attempts to redo a turn's movement if you find that moving the camera around as well as your character has left you with just shy of the necessary range to hit your enemy. This brings me to the most important part of LD. Gameplay. Traditionally, a jRPG will have fairly standard gameplay, and then max out on plot, music, and otherwise traditional major selling points for RPGs. Character development does exist in Lost Dimension, after a fashion, but the best part of this game isn't the generic story with the obvious twist at the end, it's the amazing gameplay. With 11 characters, each with strengths, weaknesses, and varied talents, you can build your quest party however you like to. Between quests you can choose to talk to your team members, which will raise your trust with them. This trust mechanic influences how likely they are to assist you when attacking a target within their range, not entirely unlike the assist system from the Disgaea series. Instead of acting, you can also, instead, defer to an ally, allowing them to have another turn. This will not only allow a support character that has nothing left to do to provide a meaningful benefit, but also allows you to stack all of your best loot on one character to let them do all the heavy lifting, if you find yourself at an impasse. Just had to sacrifice your heavy lifter because he was the traitor? That’s fine, just replay missions to grind a new workhorse up and you’ll be back to cleaving through your opposition in no time. Between the varied options in the skill trees for characters, the teamwork options for each turn, and the resource management, the fact that you are vastly outnumbered in most of the missions later on doesn’t seem too onerous, because as with all JRPGs, if you find yourself struggling, you can just grind some more and overcome the challenge with sheer stubborn dedication to the cause. 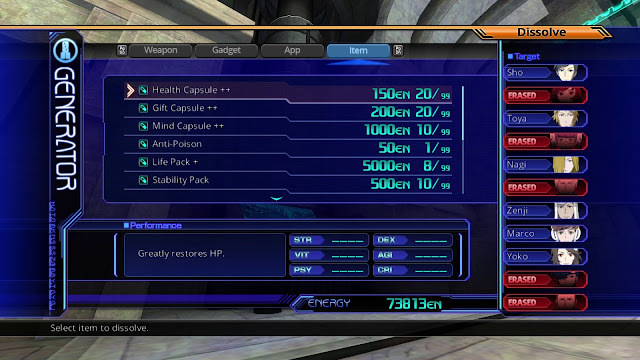 At the end of the day, the gameplay is what shines, with Lost Dimension. The music is great, off the hop, but after 20 hours it fades out of notice and may as well not be present, for all that it is noticed or appreciated. The dialogue is disjointed and poorly planned out, wherein traitors seemingly only behave like traitors for their current floor, and in the end, it doesn’t truly matter who is the traitor or who is legit, because none of them seem to overly MIND being caught as the traitor, even though they know from past experiences that it means they are going to be killed.